New Delhi: "Step-motherly treatment", said Arvind Kejriwal, reacting to the Union Budget presented by Finance Minister Arun Jaitley today, adding that he "had expected some financial assistance to important infrastructure projects for national capital". The Arvind Kejriwal-led Delhi government has been demanding that the share in central taxes and duties for the city should be increased. "I had expected some financial assistance to important infrastructure projects for the nation national capital. Am disappointed that the Centre continues its step-motherly treatment to Delhi," Mr Kejriwal tweeted, hours after the Finance Minister's budget speech in parliament. "There is nothing for the middle class and traders in this budget. Completely ignored," he added. His deputy, Manish Sisodia also hit out at the centre, saying the BJP-led centre treats Delhi residents as "second-grade citizens". Mr Sisodia said that no plans or schemes have been announced for Delhi Police while the AAP government's demand for special package for 2,000 electric buses to combat air pollution has also not been addressed. "Disappointing #Budget2018. Not a single extra rupee increased in Delhi s share in Central taxes since 2001-02, stays at Rs 325 Cr. No other part of India gets such treatment (sic)," he said in a series of tweets. 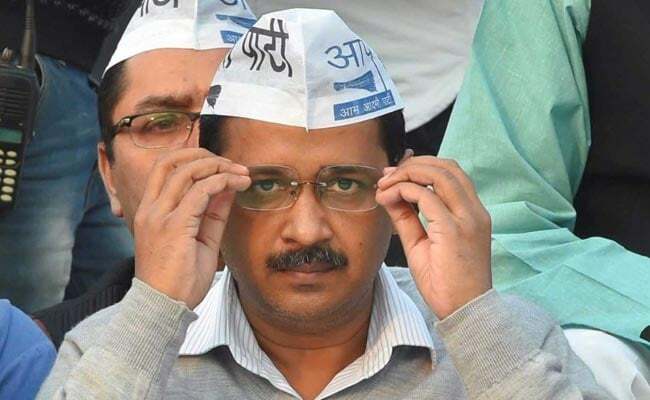 He said that land in Delhi comes under the Centre, but despite this, no plans have been announced for regularisation of unauthorised colonies and giving more land to Delhi government to build clinics, schools, hospitals and bus depots. According to the government, Delhi's share in central taxes has been kept at Rs 325 crore, static since 2001-02. Delivering the last full annual budget before national election 2019, Finance Minister Arun Jaitley allocated 14.34 trillion rupees ($225.50 billion)for rural infrastucture spending and extra support for farmers. Mr Jaitley also announced plans to introduce "the world's largest government funded health care programme", saying it would cover some 500 million of the country's poorest people. He went on to lay out plans to merge three public sector insurance companies and list the new entity.